Wonderful solid brick ranch home that has top rated East Park in its backyard! Imagine being able to play tennis, basketball, fish, canoe, listen to a concert, or just go for a peaceful walk right out your back door. This home features 3 main floor bedrooms, a 4-season porch with hot tub, a large basement family room (knotty pine walls) with custom stone fireplace and a professionally landscaped yard with planter boxes. 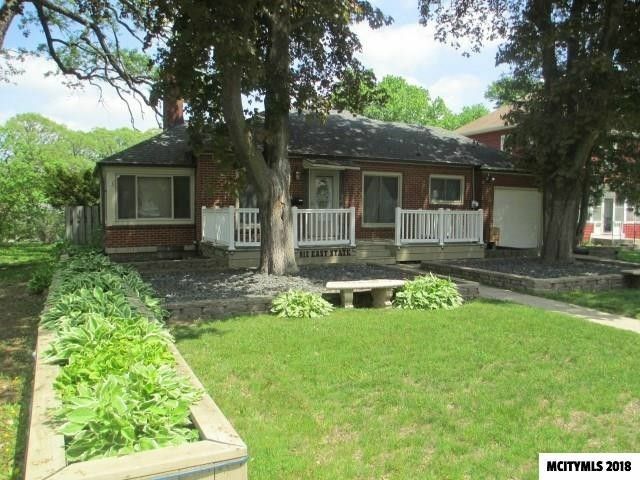 Back yard is fenced-in and offers direct access to the wonderful, city maintained park. The main floor has a living room with a 2nd custom stone fireplace and french doors that lead to the 4-season porch which leads out to a outdoor patio. The basement has the large family room, 3/4 bath area with laundry facilities, workshop room and a lot of storage areas (4th bedroom potential in a couple of spots). Large front yard deck (24x10), newer main floor bath and windows throughout. Front yard gives you a front row spot to watch the annual Band Festival parade.